Education has a great social importance especially in the modern, complex industrialized societies. Philosophers of all periods, beginning with ancient stages, devoted to it a great deal of attention. Education Trains in skills that are required by the economy. Schools came into existence several thousand years ago in advanced horticultural and agricultural societies to prepare a select few for leadership and professional positions. Until the last century or so, no society could afford more than a handful of educated people. With the emergence of large-scale industrial and bureaucratic organizations, came a need for an abundant supply of literate and educated people. The school system became a primary vehicle by which a nation’s citizens were taught the three Rs, and the higher education became the custodian of nation’s intellectual capital. Education today is a crucial investment in the economy and major economic resources. It has also become a major military resource. Throughout the world, schools are increasingly being viewed as a branch of the state and as a serving state purposes. The relation between the economy and education can be an exact one. For example, the number of electricians, plumbers, builders, etc., produced by education limits the number and productive capacity of engineering firms. In planned economy, normally it is planned years in advance to produce a definite number of doctors, engineers, teachers, technicians and scientists, etc. to meet the social and economic needs of the society. Accordingly, various theories regarding its nature and objective have come into being. Let me now examine some of the significant functions of education, for the benefit of my readers (The Role of Education in Society Sociology Essay Published: 23rd March 2015). I will only outline five significant attributes. The main social objective of education is to complete the socialization process. The family gets the child, but the modern family tends to leave much undone in the socialization process. The school and other institutions have come into being in place of family to complete the socialization process. Now, the people felt that it is “the school’s business to train the whole child even to the extent of teaching him honesty, fair play, consideration for others and a sense of right and wrong”. The school devotes much of its time and energy to the matter such as co-operation, good citizenship, doing one’s duty and upholding the law directly through textbooks and indirectly through celebration of programmed patriotic sentiments are intimated and instilled. The nation’s past is glorified, its legendary heroes respected, and its military ventures justified. All societies maintain themselves, by exploitation of a culture. Culture here refers to a set of beliefs and skills, art, literature, philosophy, religion, music, etc. that are not carried through the mechanism of heredity. They must be learned. This social heritage (African culture) must be transmitted through social organizations. Education has this function of cultural transmission in all societies. Education helps in transmitting culture through proper molding of social personalities. In this way, it contributes to the integration, to survive and to reproduce them. Education aims at the reformation of attitudes wrongly developed by children already. For various reasons the child may have absorbed a host of attitudes, beliefs and disbeliefs, loyalties and prejudices, jealously and hatred etc. these are to be reformed. It is the function of education to see that unfounded beliefs, illogical prejudices and unreasoned loyalties are removed from the child’s mind, though the school has its own limitations in this regard, it is expected to continue its efforts in reforming the attitudes of the child. youth should be enabled to play a productive role in society. Accordingly, great emphasis has been placed on vocational training. This is where the vocational, technological and agricultural skills are instilled, helping the Liberian child to earn his livelihood. education and prospects of young people (UNESCO, 2016). UNICEF estimated that three out of five unemployed in sub-Saharan Africa are young people, mostly surviving in the informal economy. In Mali, technical and vocational education and training is being offered to youth in conflict-affected regions of Mopti, Timbuktu, Gao, and Kidal. UNESCO Dakar has also been instrumental in developing a common format for TVET curricula and learning materials for West African countries. I will briefly review the Technical and Vocational Education /Training within one of Africa’s successful countries in this endeavor. Rwanda, at the end of her civil war years, Technical and Vocational Education and Training (TVET) was an important component within the Rwandese policy to end poverty. A reform of the TVET sector was approved in 2008. School management and leadership are a major challenge in technical and vocational education and training in Rwanda. School management and leadership are described as weak by the government itself. There are no specific qualifications or certifications for school managers. Therefore, effective school management is high on the agenda of the Rwandan government. 1. To provide opportunities for persons who are technologically unemployed to prepare for vacant positions in other occupations. 2. To reduce the rate of unemployment or underemployment caused by insufficient education and training. 3. To provide sufficient opportunity for the practice and the establishment of ethical habits and values of alert diligence in all citizens (those who desire it). 4. To provide sufficient opportunities for all persons who have an interest and would profit from such instruction. 5. To provide basic elements for additional specialized vocational or professional education. 6. To provide personal group relationships and to make persons more responsive to appeals by civic authorities for personal responsibility, etc. Liberia ’s education system needs to be rebuilt around vocational skills, agriculture economy of business, food production and exporting goods. The system should be redesigned to properly educate as many people as possible in the shortest amount of time. To achieve these objectives, a National Service –Peace-Corps program needs to be put in place. This program should provide teachers to all parts of Liberia. All students coming out of high schools would be sent into the interior to teach in elementary schools for one academic year as graduation requirement. 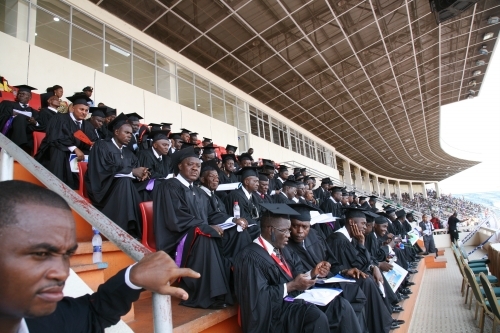 Students graduating from Cuttington University, the University of Liberia and other universities or colleges, must do two years of national service as teachers in all high schools located in the various counties and upon completion, they will receive their diplomas. Students from agricultural schools such as the University of Liberia ’s Agriculture College and the Agriculture facility at Cuttington would help with seasonal planting and harvesting of food. Like national service plans elsewhere, student participants would be paid a stipend to cover necessities such as room, board and transportation. During the junior year of both high school and university, students would receive instructions in teaching strategies and methods. In this endeavor, all students coming from overseas studies must perform one year of national service to be qualified for gainful employment in government or the private sector of the Liberian economy. If the youths of Liberia want to have a happy future, they must be willing to make meaningful sacrifices in the services of the unfortunates. We have paid a price for allowing ignorance of mind and spirit to dominate our national culture. We have suffered so much as a people and as a nation to again allow this enemy to dwell amongst us. The Ministry of Education must endeavor to provide equal education opportunities to all Liberia’s children. The success and durability of the Liberian democracy depends on the availability of an educated middle class. 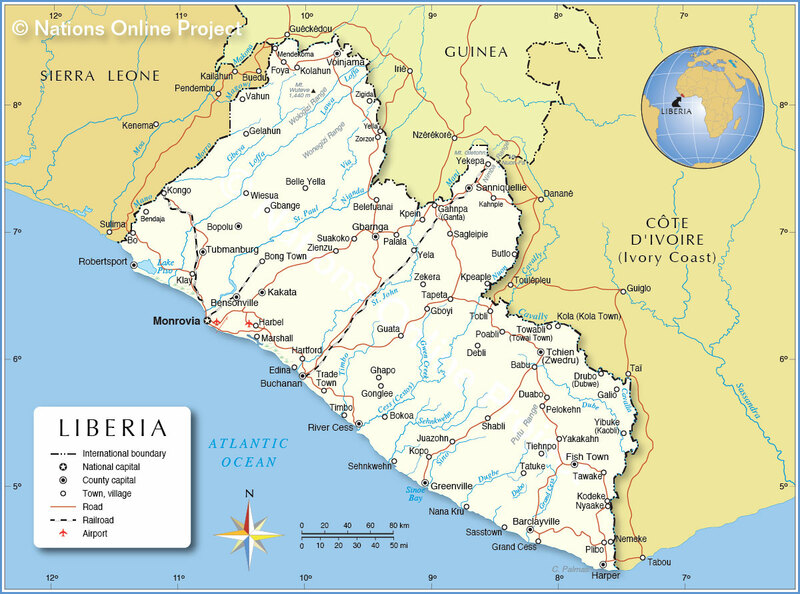 The greatest peril to stability in Liberia is illiteracy of Liberian youth. The 14 years of war have taught us the lesson of illiteracy. When seventy-five percent of a country’s population is uneducated and unskilled, it is not a laughing matter; it is a time bomb waiting to explode.